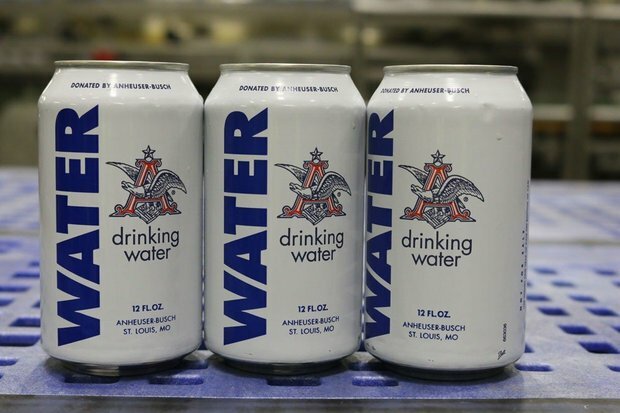 Anheuser-Busch Is Delivering Cans of Water to Help Residents Affected by Flint’s Water Crisis. The Beer Company’s Cartersville, Georgia Brewery Is Sending a Truck Loaded with Cans of Water to the Food Bank of Eastern Michigan. Since 1988 the Brewer has donated more than 74 million cans of emergency drinking water following natural and other disasters, according to the release. Earlier this month, the company donated 188,000 cans of water to people in Missouri and Oklahoma affected by flooding and winter storms. The water will arrive in Flint the first week of February at the food bank’s request, according to the release.